Hope you are all staying warm and safe if you have stormy weather at your house. We had at least 12 inches of new snow yesterday (on top of the snow we already had on the ground). Not sure if we'll be going to school tomorrow either because wind chills are predicted to be around -40 degrees. What?!?! When I do get back to school, I need to start working on teaching informational text features. 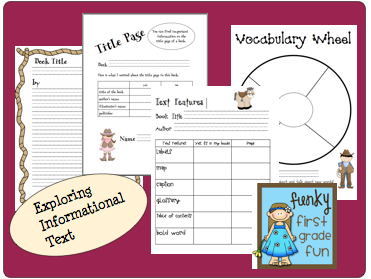 I use my Exploring Informational Text unit to help guide my reader's workshop lessons. It goes well with Lucy Calkins unit: Nonfiction Chapter Books that we'll be working on for writer's workshop. Then my students practice the new skills we learned about informational text features while we do a little penguin research. 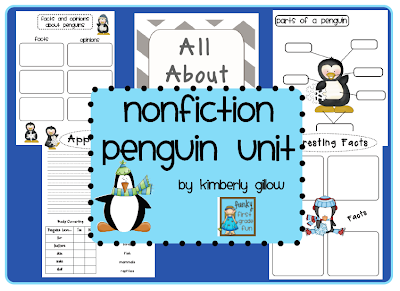 I made the Nonfiction Penguin Unit last year and my students loved it. You can check it out by clicking on the image below. 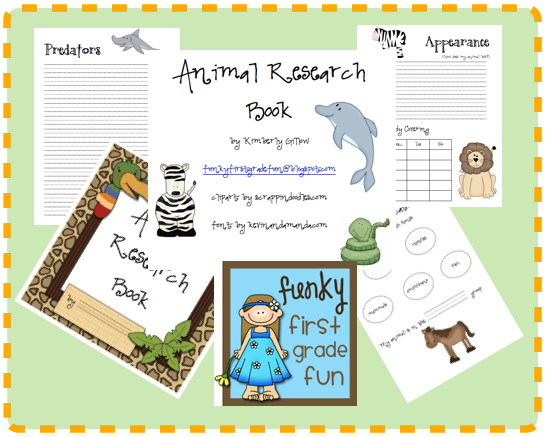 One of my goals in creating this unit for my students, was to provide a little more depth of knowledge (the focus of the common core standards) before each student writes his/her own animal research report in the spring. This unit really helped me model how to research, while practicing the skills we learned in the Exploring Informational Text unit. As I mentioned, in the spring my student write their own animal research report. My students LOVE doing their own animal research reports each year! They choose their own animal and then they use the Animal Research Book below as a guide for writing their reports. You can check it out by clicking below. It's my best seller on Tpt. I guess I should bundle up and start the 4th big dig of the last 24 hours. Fingers crossed that the city snowplow did not push the snow from the whole street into the end of my driveway again. Stay warm!